Richmond's Off the Hookah Will Close in July | News and Features | Style Weekly - Richmond, VA local news, arts, and events. Richmond's biggest nightclub is losing its dance floor to CarMax. Off the Hookah's general manager, Roland West, says the popular nightclub will close in late July after nearly six years. Richmond’s biggest and brashest nightclub won’t make it through the summer, while its Canal Walk building continues its transition from entertainment venue to CarMax office space. Off the Hookah held its grand opening in time for Christmas 2010, launching a new concept for Richmond that brought a never-before-seen vibe from sister clubs in Florida, featuring go-go dancers, flair bartenders and decorative water pipes that let patrons exhale flavored smoke into the air. Even general manager Roland West was skeptical at first that the concept would take off. “It changed my line of thinking, at least,” he says, that a club on that scale could work in Richmond. It could hold nearly 600 people. By the second year, people were traveling from other cities to gawk at the Egyptian theme and thumping vibe, packing one of the area's most culturally diverse dance floors and lining up out front. For the past six years, voters in Style’s Best of Richmond issue decreed it the city’s best dance club. “Would some of these places have come up if they hadn’t seen it work at Off the Hookah?” West says. Off the Hookah’s lease in the Lady Byrd Hat Building ends July 31, with the closing date sometime in late July, says West, who calls it an unexpected situation that doesn’t reflect the health of the business. But the leasing management company of the building, at 140 Virginia St., says it started marketing the space after receiving notice in July 2015 that Off the Hookah “was not going to renew,” says Jon Ondrak, chief operating officer of Fulton Hill Properties. 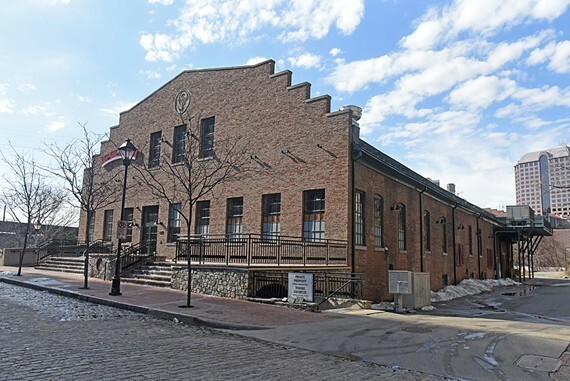 As Style reported in February, CarMax signed a lease on approximately 26,000 square feet in the same building, leading to the closure of the Hat Factory, a bar and concert venue that shared the space with Off the Hookah, Butler Royals and The Roseline Financial Group. Those plans have grown, with CarMax taking over the downstairs at Off the Hookah and cutting capacity for the club to about 340 people. Now the company will take over the main floor too. “It’s kind of tough,” says West, who’s been there from the beginning, noting the club’s staff and security of 35 to 40 people. He stepped away for a bit recently to open District 5, which he co-owns in the Fan, but will handle the closing duties at Off the Hookah.